A couple of weeks ago, a couple of friends and I got up ridiculously early in the morning to stand outside the Citizens Theatre and buy 50p tickets for a show called Hay Fever. This was my first time hearing about the play and I bought the tickets without even knowing what the plot was going to be. Despite that, we got our tickets and a few weeks later went to see the show. I'm so glad we got to do this. Hay Fever, is a play with its own charm and certain uniqueness. The story itself was almost lost amongst the action and that's not necessarily a negative thing. The premise was that of a day in the life of a family: the mother was an ex-theatre actress, the father an author, the son was an artist, and the daughter seemed to have little occupation at all. Each of them had invited a guest, who they didn't particularly know, to stay in the Japanese Room without telling the others until the day of everyone's arrival. This leads to a hilarious evening of awkwardness and drama. The thing about Hay Fever is that you can't simply focus on the plot, as it isn't one that's particularly complex, it doesn't carry subliminal messages or moral advice. It is the humour of Noel Coward's writing and the exaggerated performance of the actors, the pregnant pauses and overall confusion that make the play worth seeing. There was little time where the audience wasn't howling with laughter or giggling, part of that was due to the extreme juxtapositions posed between scenes. The scene went from minutes of almost silence, when two characters were having an awkward exchange, to complete chaos the next. All of that mean that you couldn't take your eyes off the stage, everyone was enticed by the action. One thing, I certainly did not expect to see during this performance was the maid's song half way through the play. It seemed to come completely out of the blue, and it was fantastic. Myra McFadyen, who played Clara (the maid) was a great surprise. Her voice was absolutely lovely to listen to, it was almost unbelievable, as in all other scenes when speaking she sounded like a completely different person. All in all, It was a play definitely worth seeing and I would recommend to anyone who can to grab those 50p tickets when they're available. 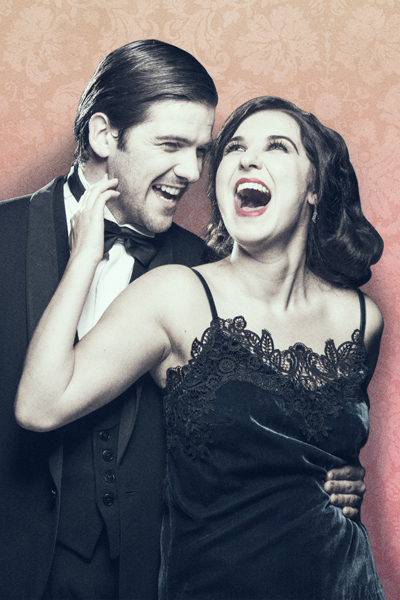 Who knows you might get to see a gem of a play like Hay Fever.